The Berry Brothers A2stic is made up of 2 of the finest and most seasoned musicians in the area. 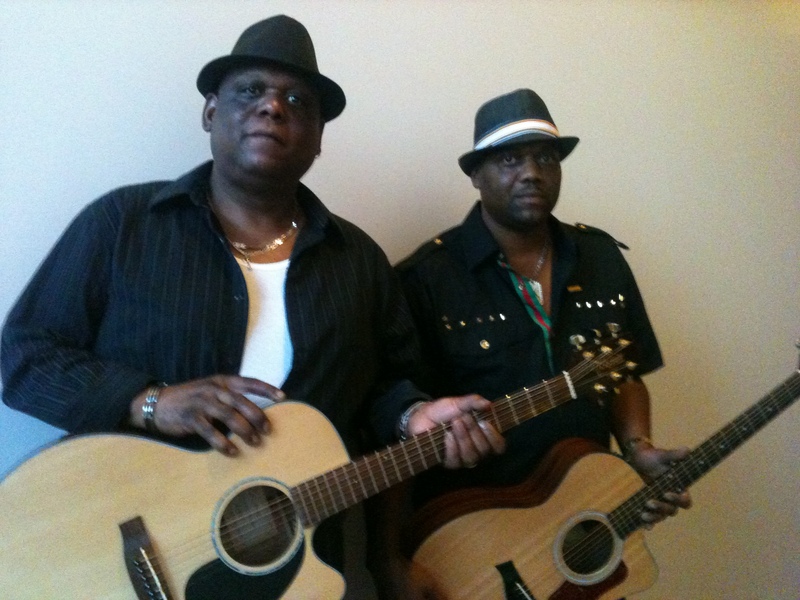 Having grown up brothers they have been playing together off and on for over 20 years.Together this duo brings to the table a wide range of talent and experience, which include rich vocals,harmonies,and acoustic guitar playing that will stand against the test of time. and on his own with his first solo release ON THE RUN. Dwayne Berry was always the lead vocalist with the “Berry Brothers Band” and still manages to take lead as these two brothers blend together. His creative and “you've lived this" lyrics bring the heart out to center stage as the audience is drawn into the heart of this mans soul. His strong musical abilities on vocals, acoustic guitar and keyboards are the solid footing that this duo stands on. Dwayne is also a songwriter and mainly influenced by originality that can be seen and heard as these two brothers join forces. Entertainment choices and are the acoustic duo to keep your eye on as they follow their hearts in this acoustic genera. These Brothers will bring all that is entertainment to your venue and will leave your audience fully satisfied musically and craving more, asking you "When will “Berry Brothers” A2stic be Back?'"